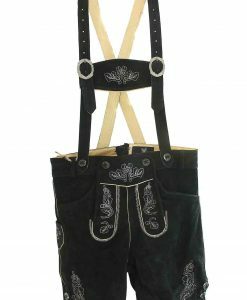 A Herren lederhosen made for German men as a symbol of strength. 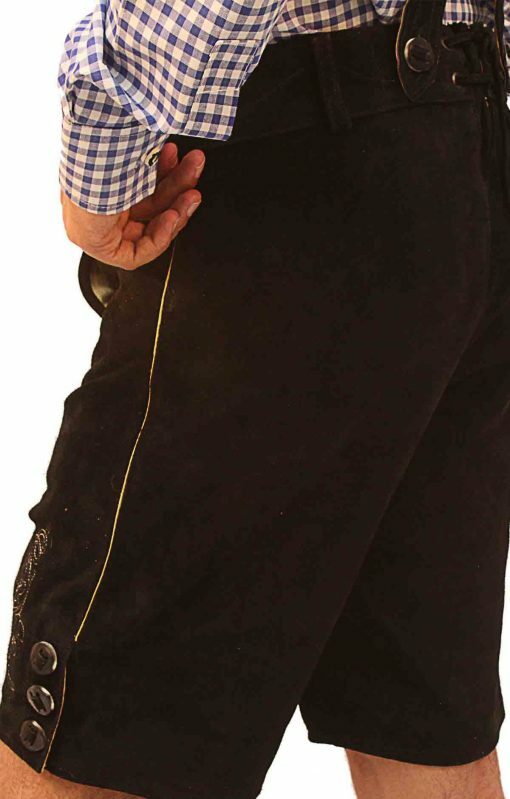 This leather trouser is made of the well know suede leather skin. 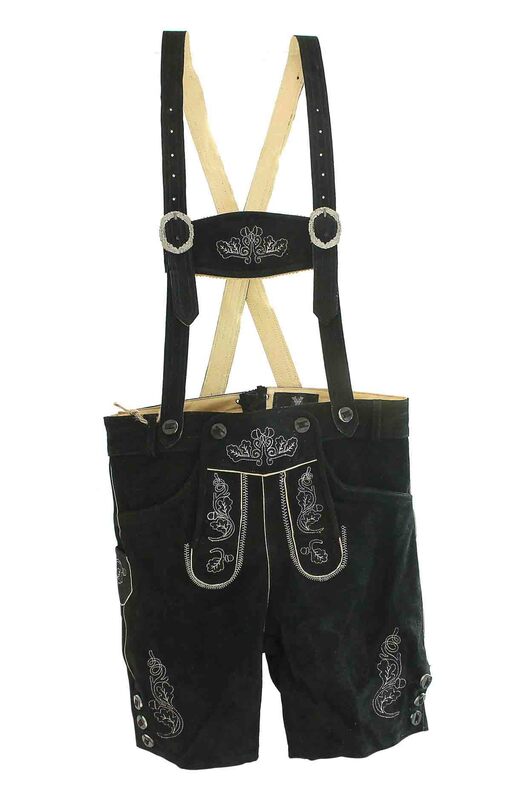 It has a perfect deep black shade. 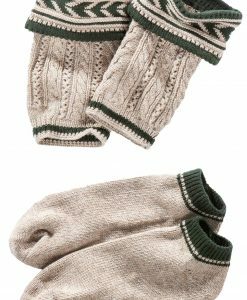 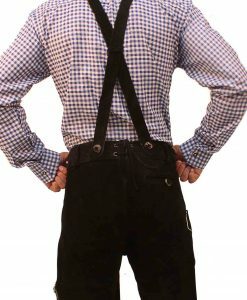 The set also includes long suspenders, holding a cross flap. 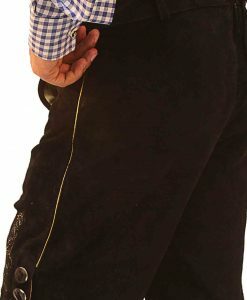 This short black leather trouser is an epic wear as a trachten lederhosen for Oktoberfest. 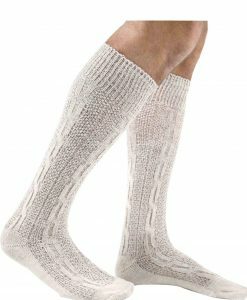 It is made of the finest goat or calf skin that guarantees the quality of the leather material. 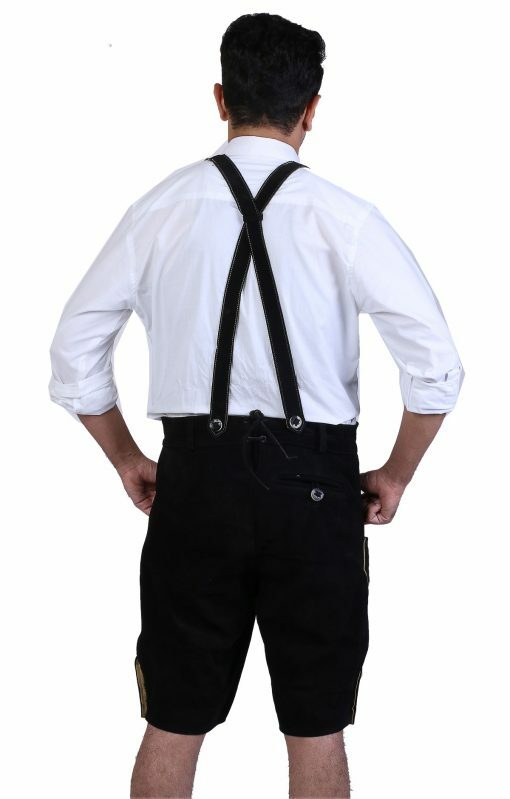 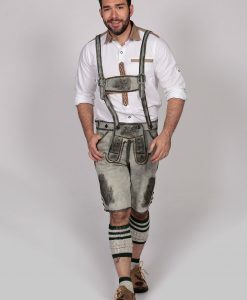 This lederhosen, includes the same black forest suspenders that can be adjusted with buckles according to your needed size. 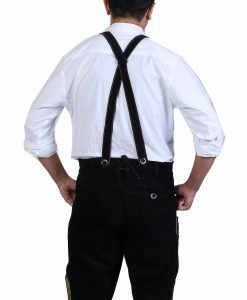 The fabric has a fine silver embossed embroidery that shines on the pocket and suspender flaps. 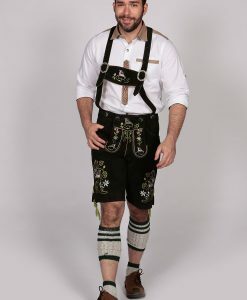 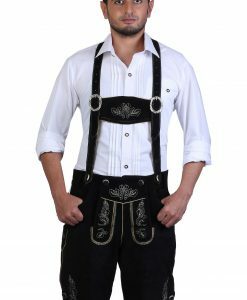 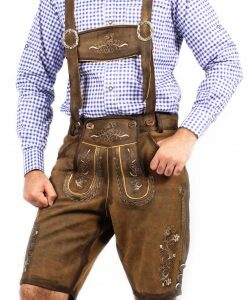 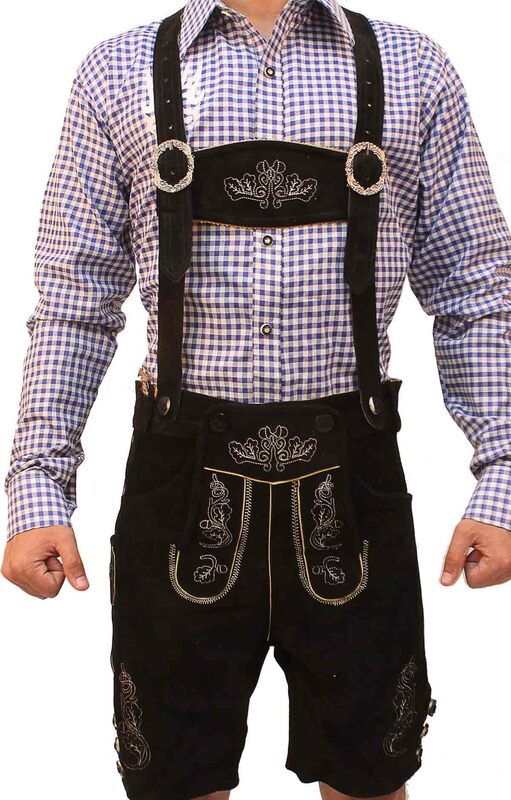 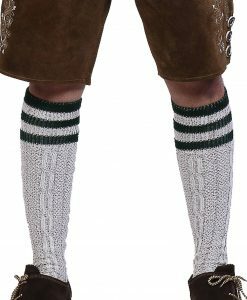 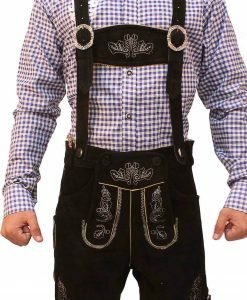 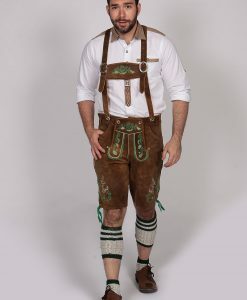 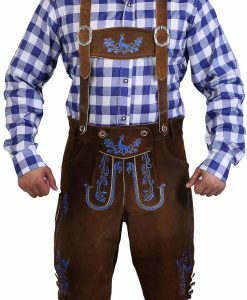 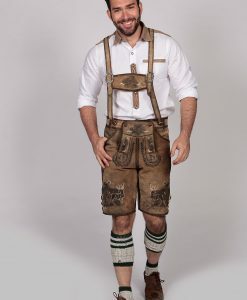 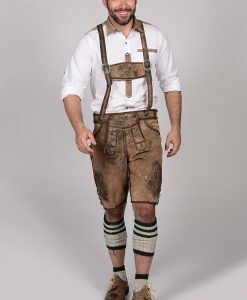 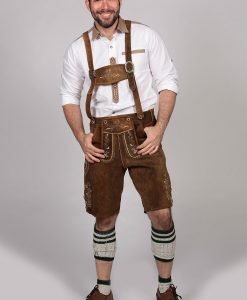 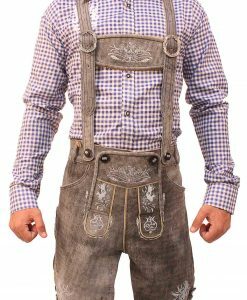 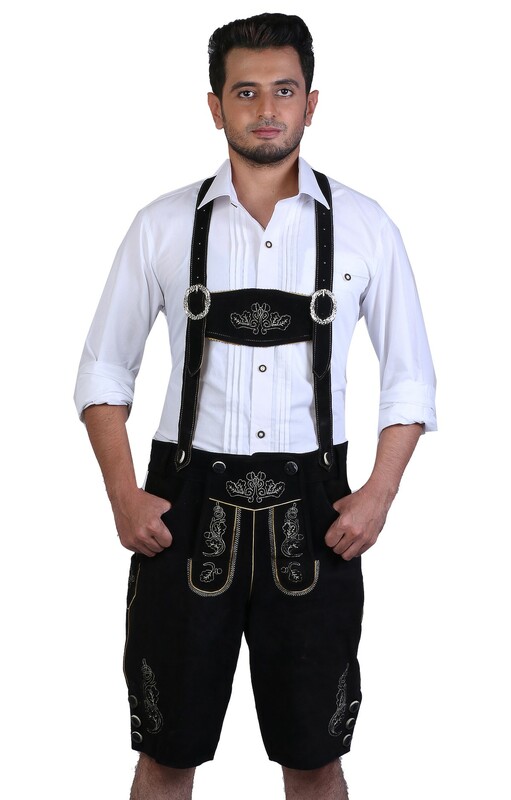 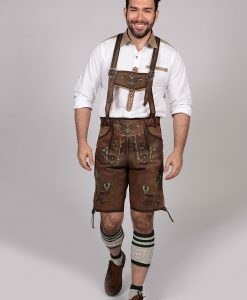 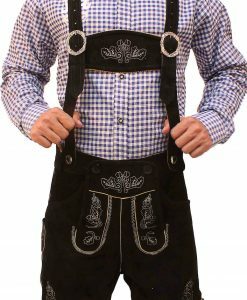 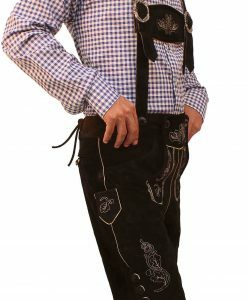 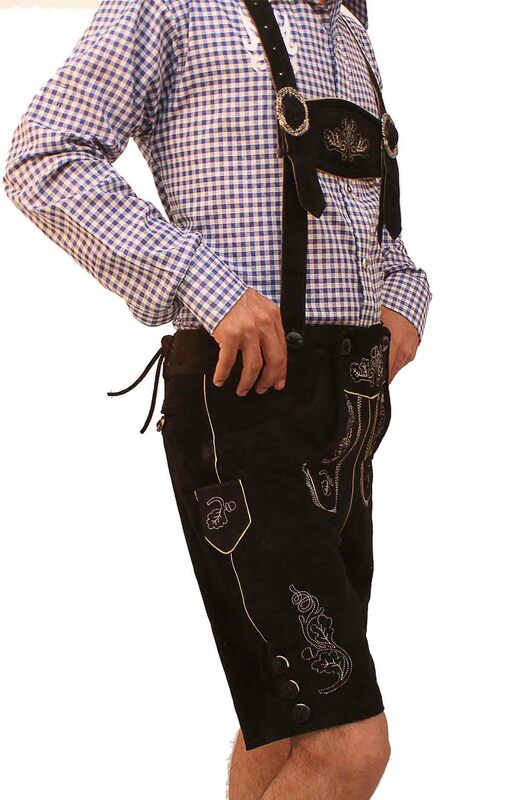 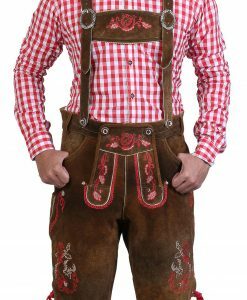 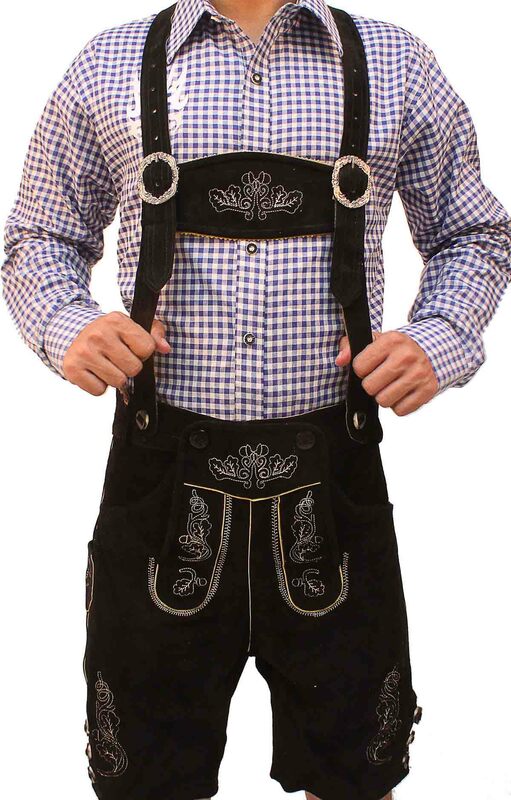 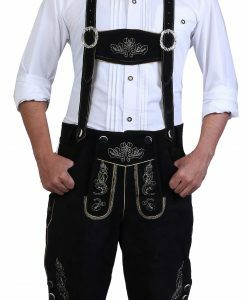 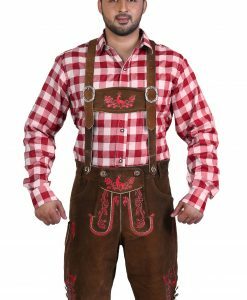 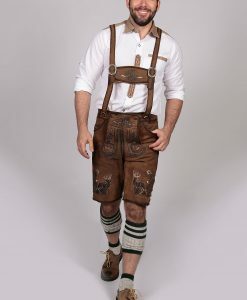 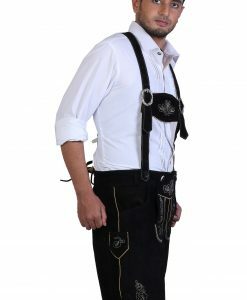 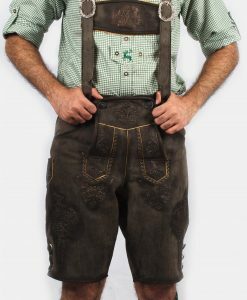 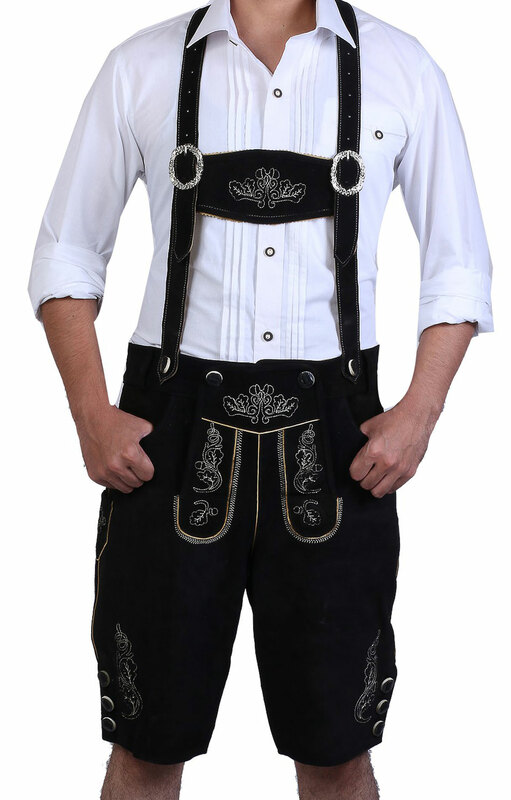 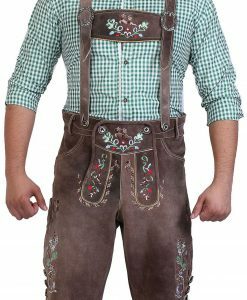 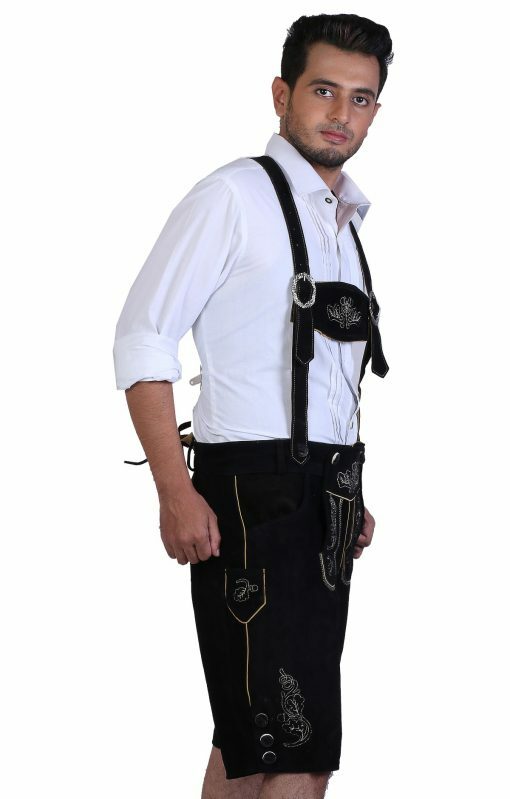 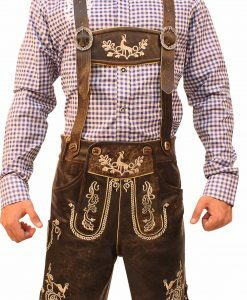 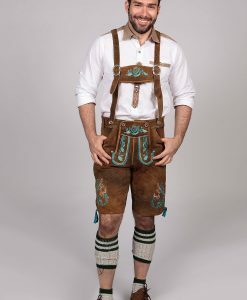 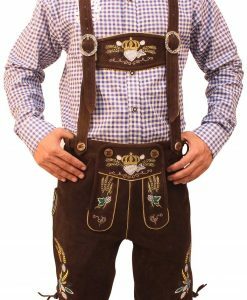 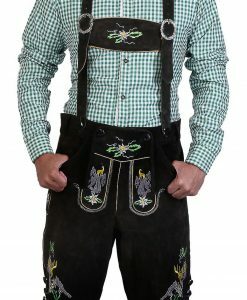 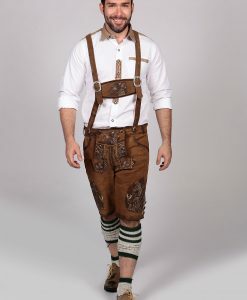 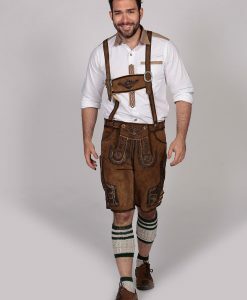 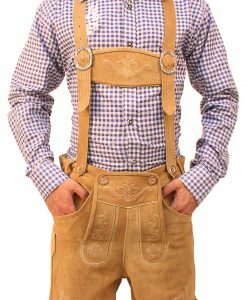 This plattler lederhosen are mid-sized on the knee and the fabric stretches according to your body for a comfortable fit. 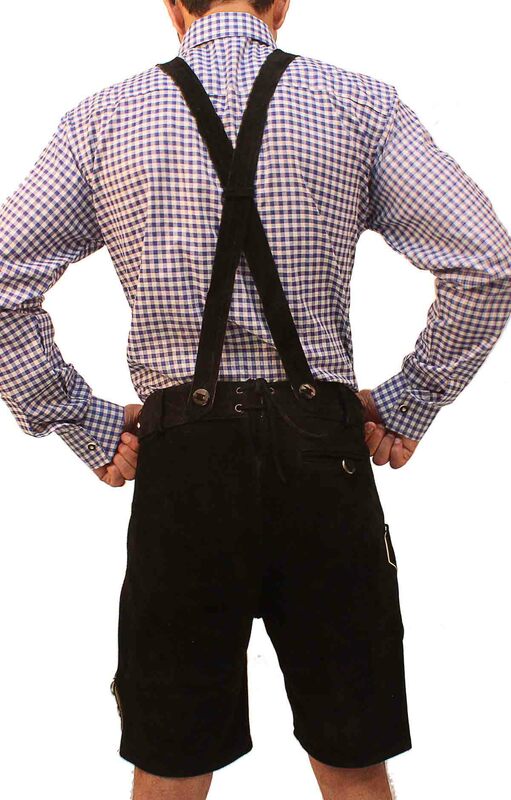 Include a classic checkered shirt with a checkered blue pattern. 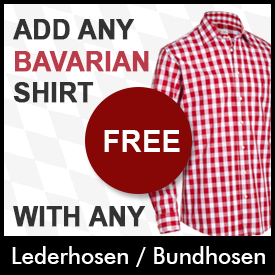 This cotton shirt will be great for pictures and help you beat the heat.